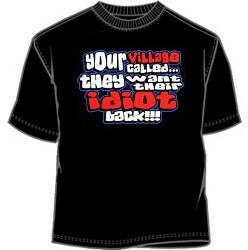 This tee shirt makes a great gift for anyone who loves to tell people exactly what they think. Our novelty t-shirts are first quality tees that are made of a cotton poly blend mix. Our humorous tees are incredibly comfortable and all of our tees are made to last. 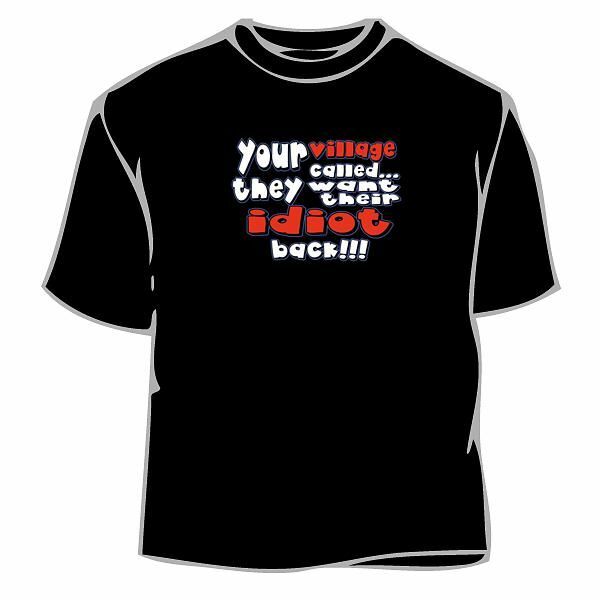 If you have questions regarding our Village Idiot t-shirt or any of our other novelty t-shirts, please include product name and number.